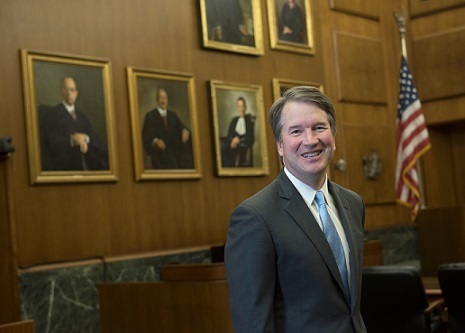 (Worthy News) - Supreme Court nominee Brett Kavanaugh repeatedly denied accusations of sexual misconduct that have threatened to derail his confirmation in an exclusive interview with Fox News on Monday. "What I know is the truth, and the truth is I've never sexually assaulted anyone," Kavanaugh told Fox News' Martha MacCallum. ... if the witness proves to be a liar, giving false testimony against a fellow [countryman] then do to the false witness as that witness intended to do to the other party. You must purge the evil from among you. The rest of the people will hear of this and be afraid, and never again will such an evil thing be done among you.